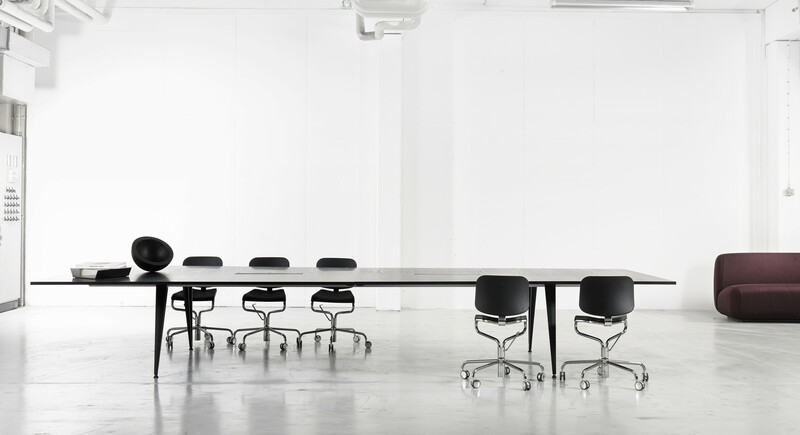 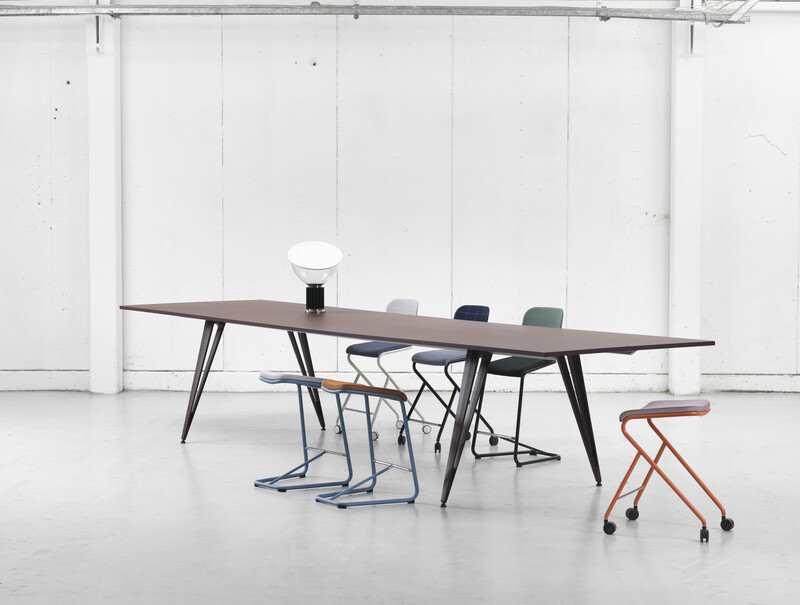 ATTACH is a table system offering almost limitless possibilities in terms of size, shape and design. 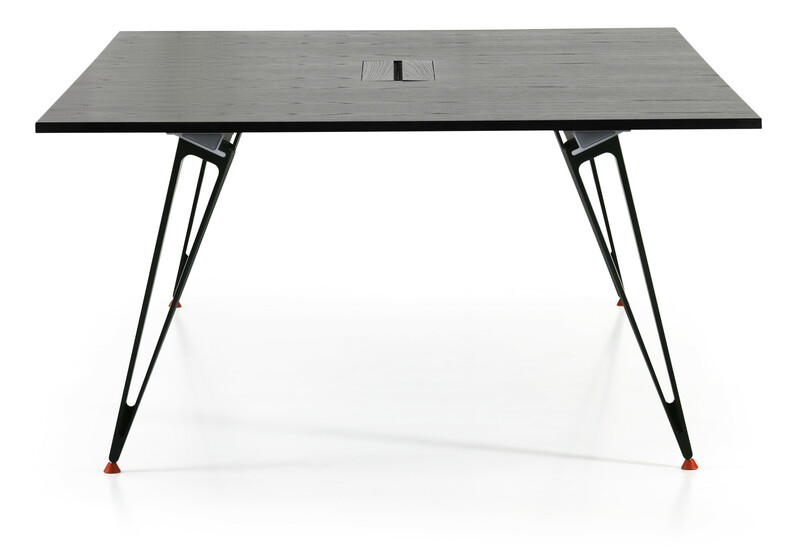 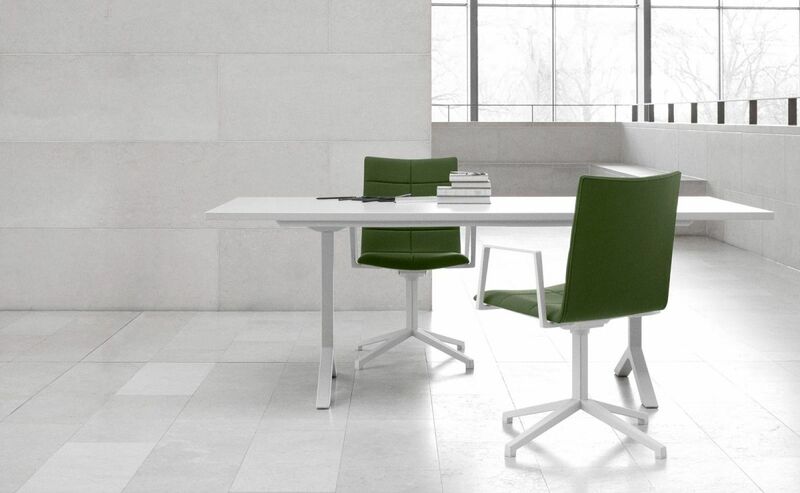 The Attach table series brings the simplified principles of basic physics to the function of table construction. 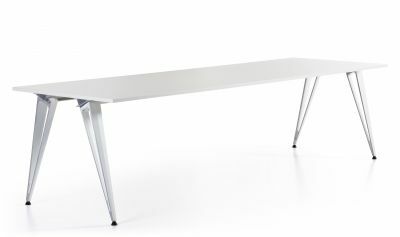 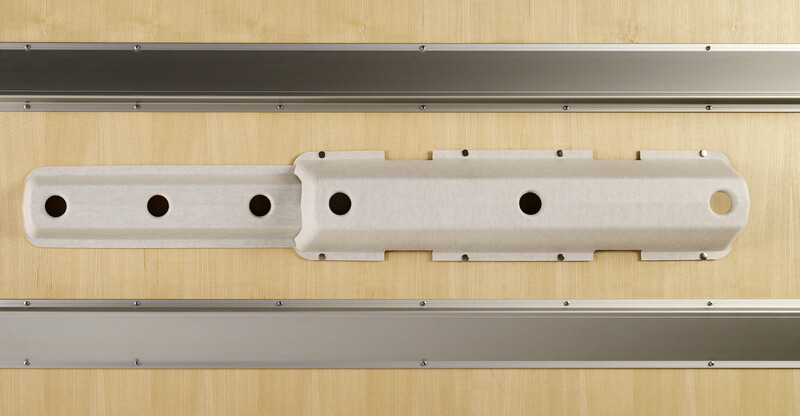 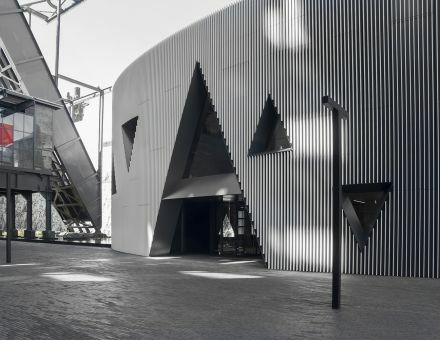 Extruded anodized recycled aluminium beams and structural recycled aluminium legs are linked under the table and secured by gravity. 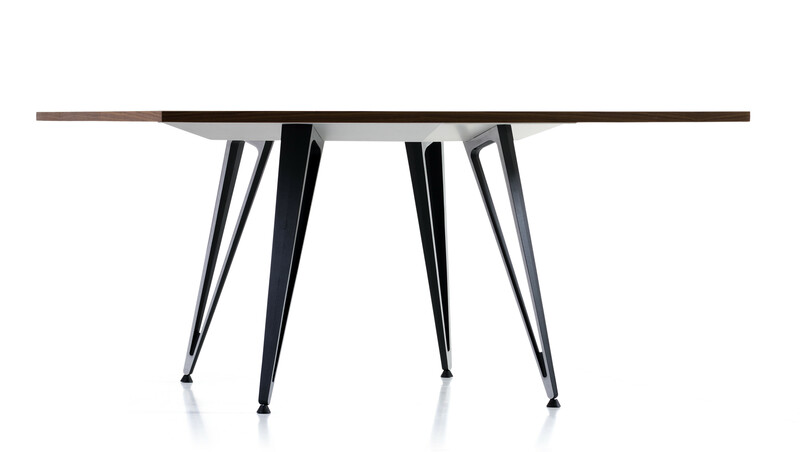 Technology marries art in the construction of this impressive table series. 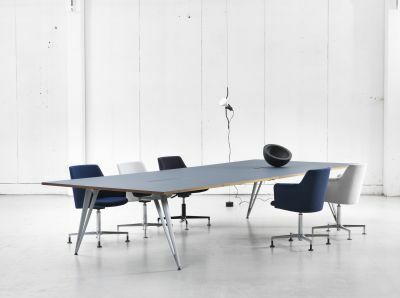 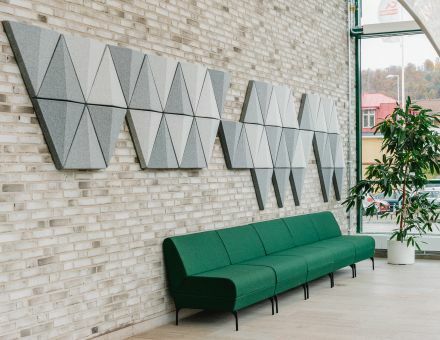 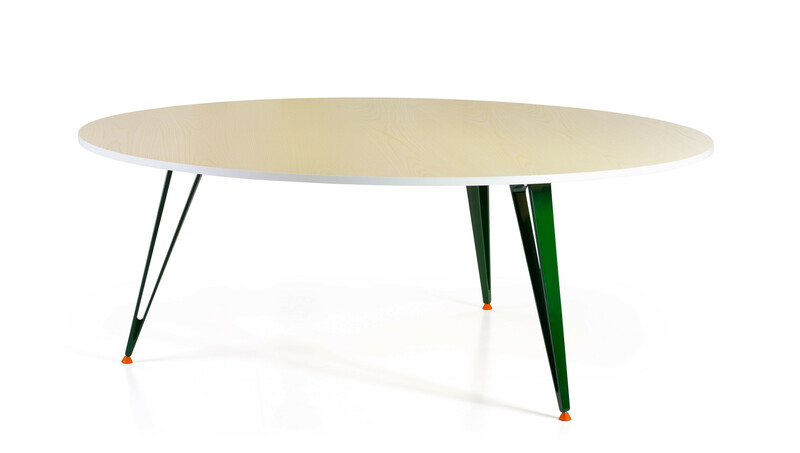 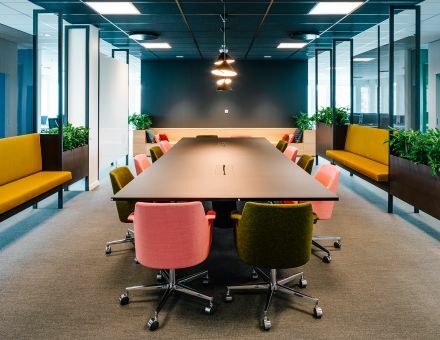 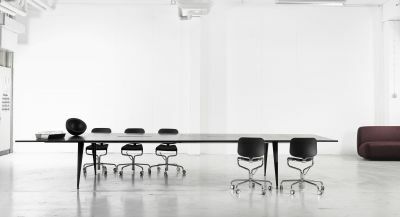 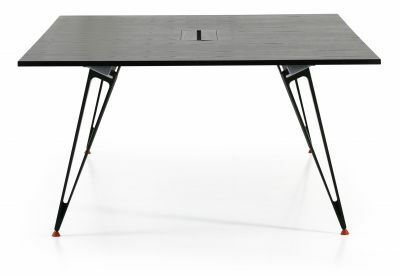 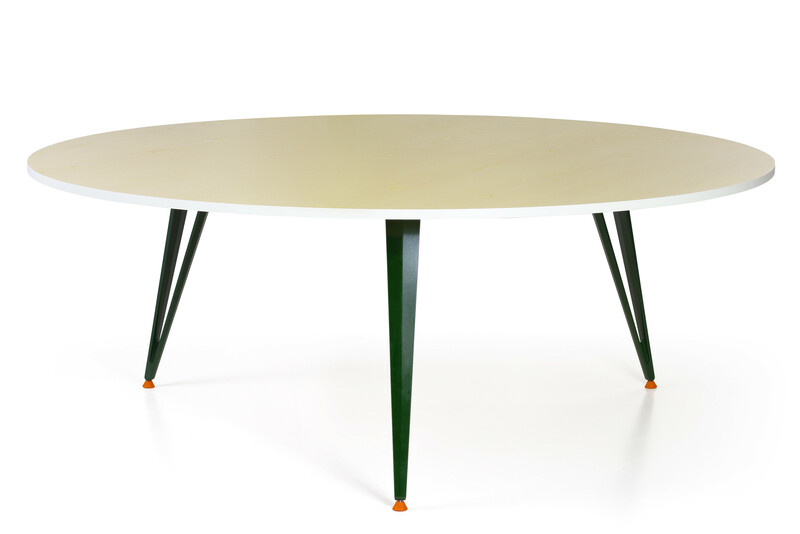 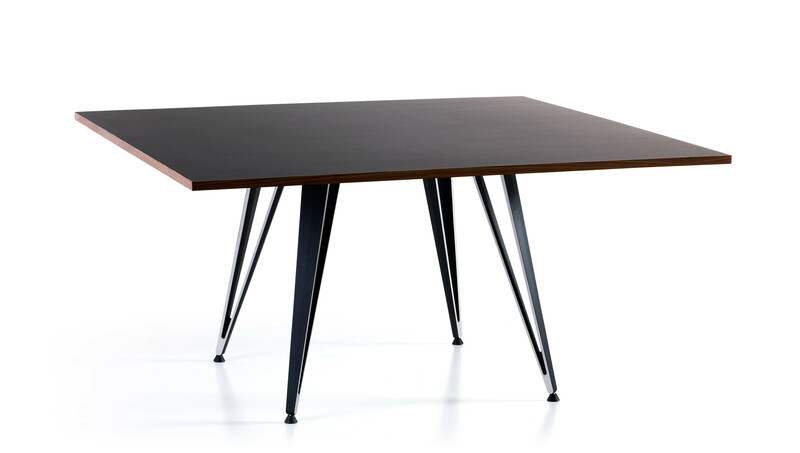 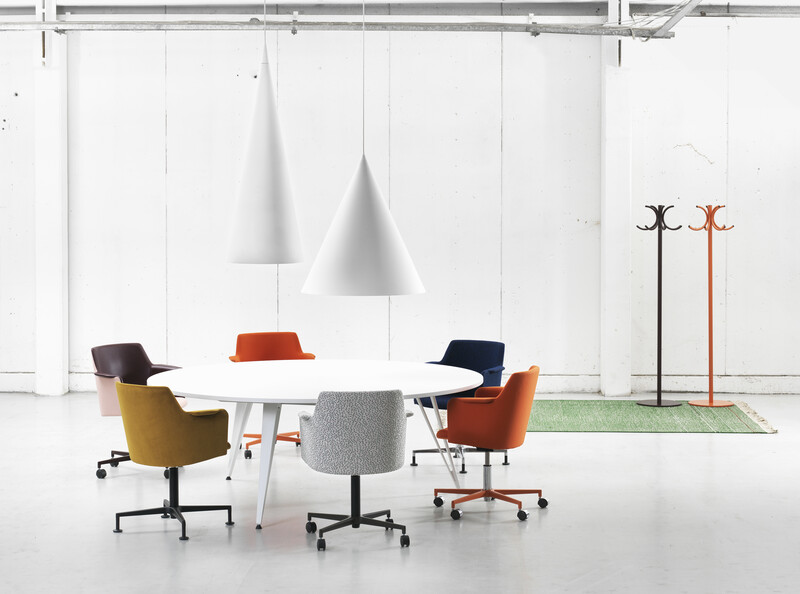 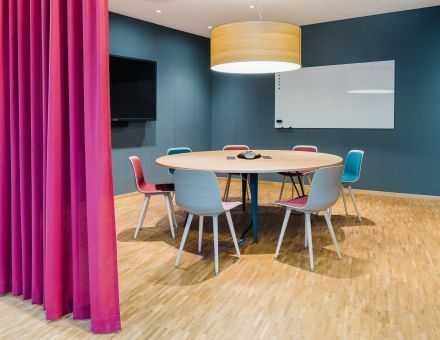 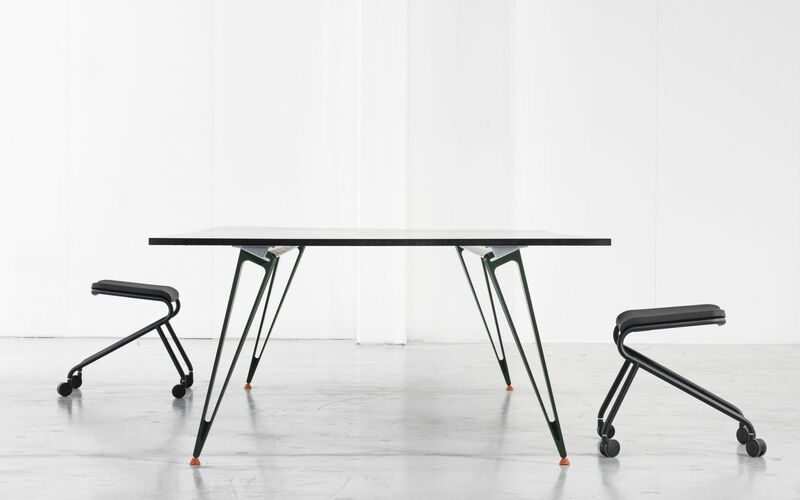 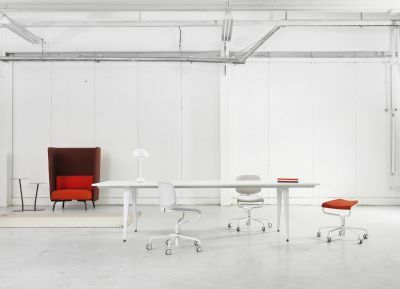 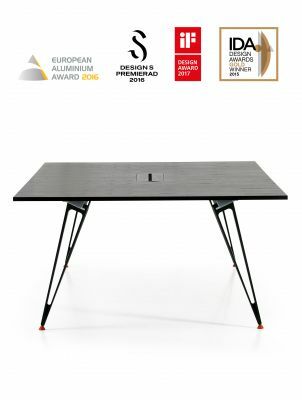 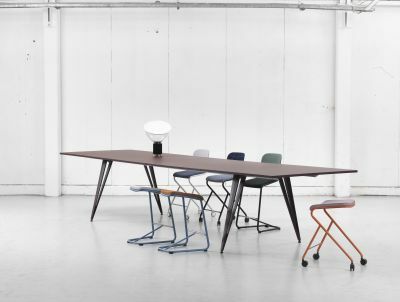 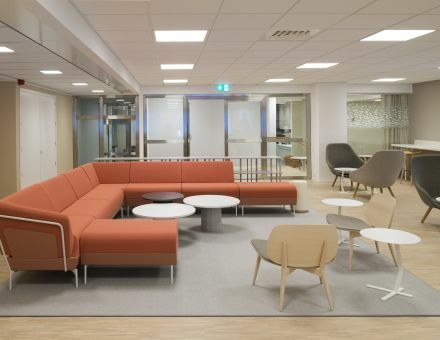 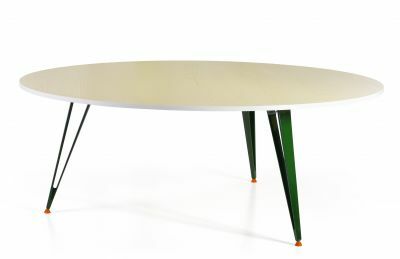 Using just a few simple basic elements, combined with a wide selection of table top materials and a choice of colours for the legs, Lammhults is offering a mass-produced yet unique table that can be freely adapted to the specific room and environment. 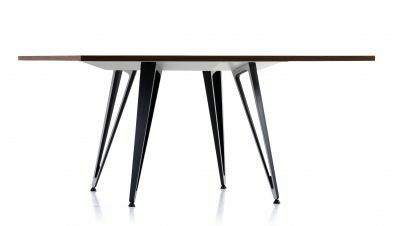 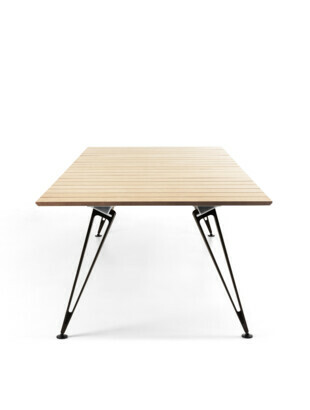 The Attach tables come in a number of standard sizes, in height 74 or 90 cm, and materials; melamine (broken white), ash (natural or stained), linoleum (Nero, Conifer). 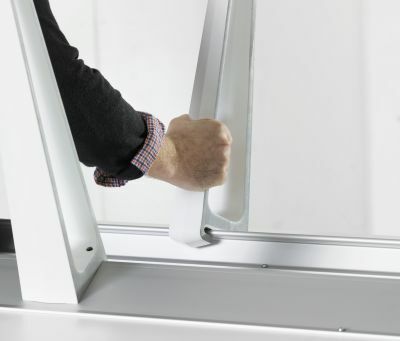 Some pictures may show products in a non-standard size, powder coat or fabric which can attract additional costs. 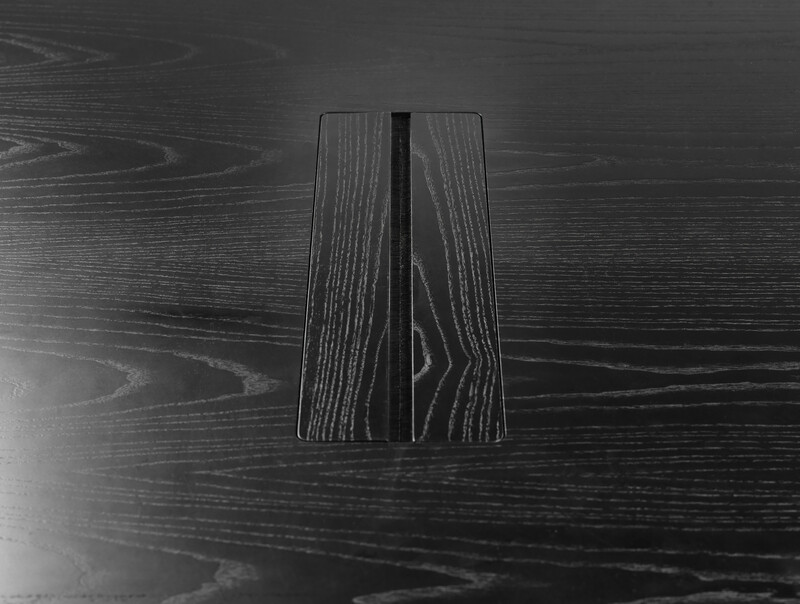 - Veneer: natural ash or oak alt. 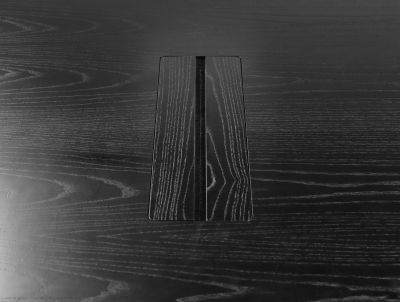 stained ash with matching wooden edge. 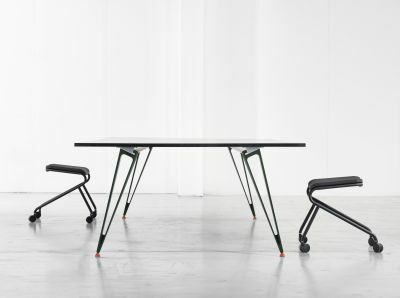 - Linoleum: Forbo Furniture with matching plastic edge. 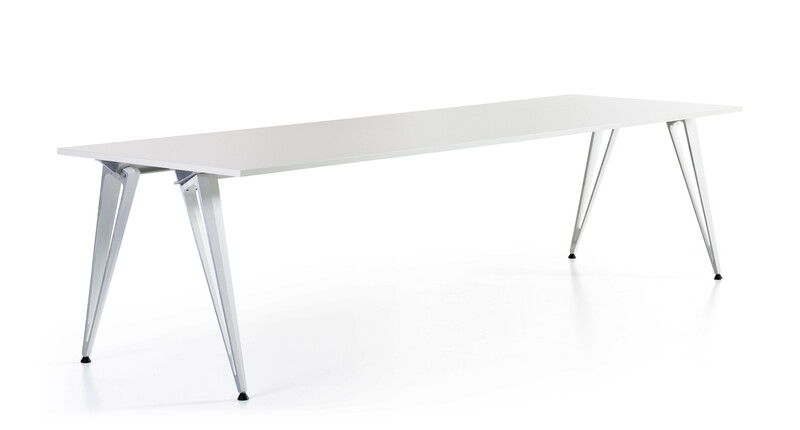 - High Pressure Laminate: white, NCS S0502-G50Y, with matching plastic edge. 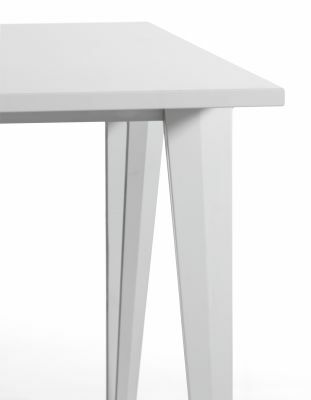 - Melamine: white, NCS S0502-G50Y, with matching plastic edge. Other shapes, sizes and material on request. 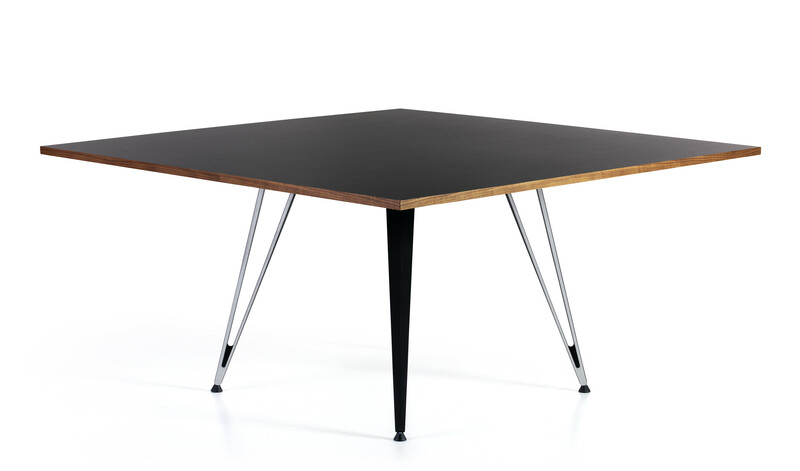 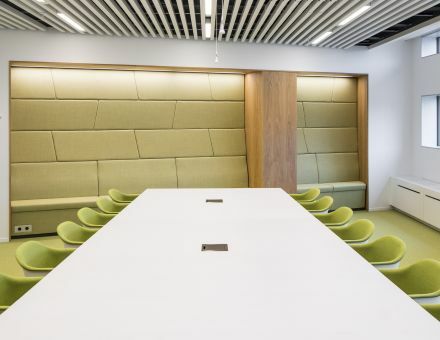 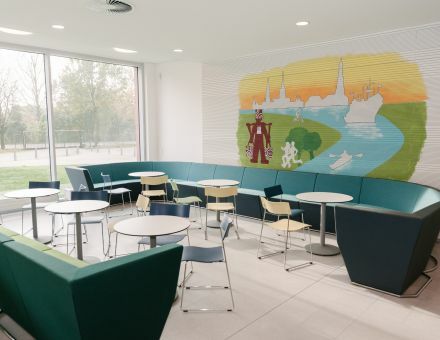 The most common table formats, such as rectangle, square and circle, can also be supplied in exact sizes to suit customer requirements. 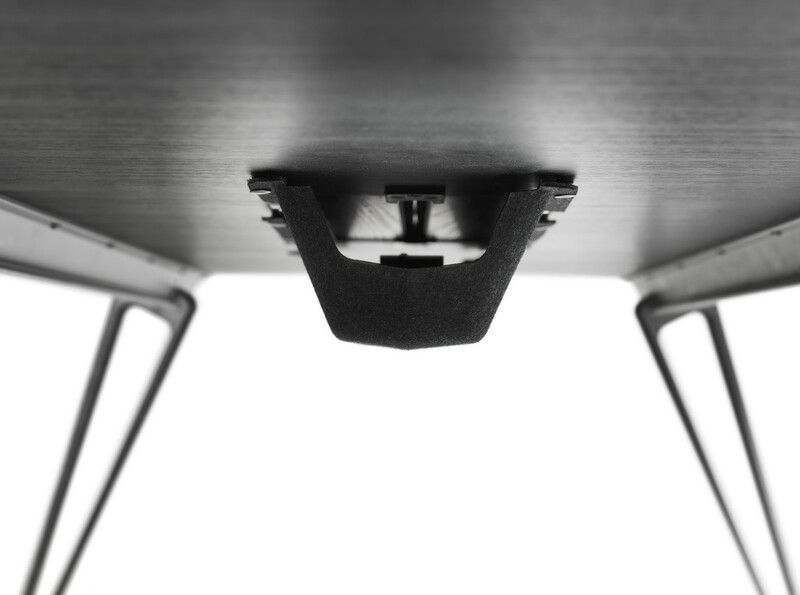 To the centimeter. 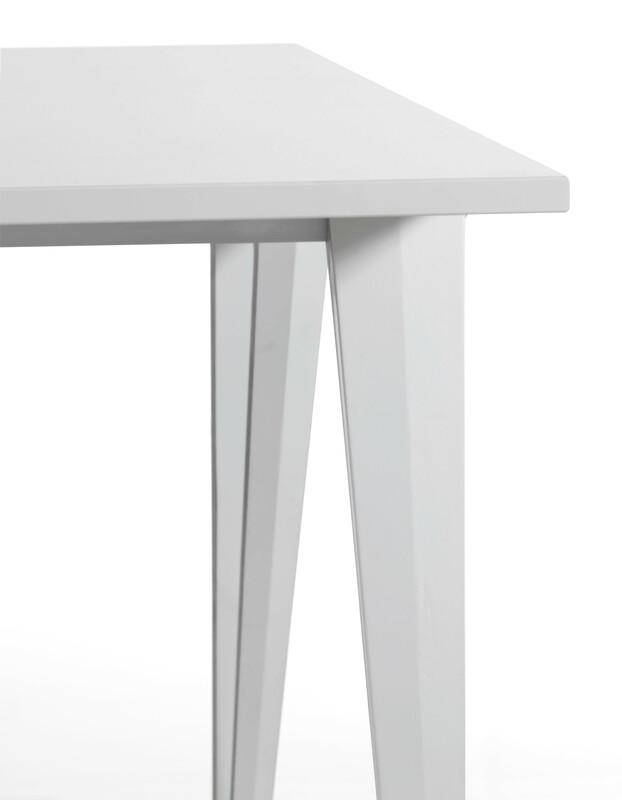 The Nordic Eco-label applies on Attach table with melamine (White NCS S 0502-Y) in sizes 120x290, 90x210, 90x290, 120x240 and 150x240. 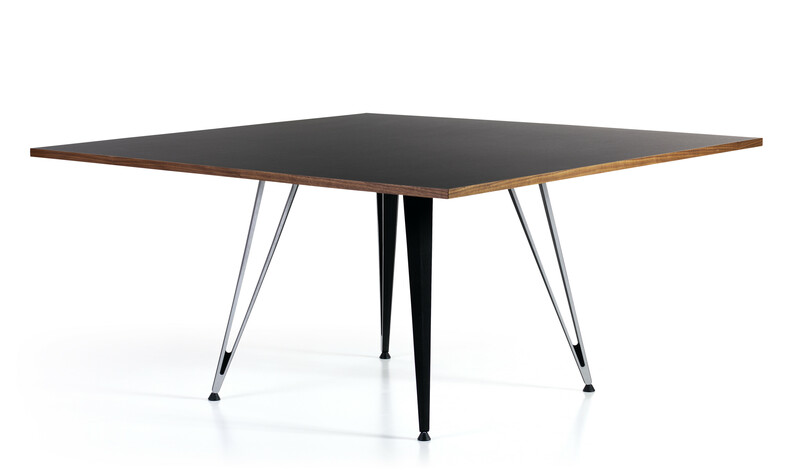 Möbelfakta applies on Attach table with the table top of 22 mm wooden board in melamine in sizes of 120x290, 90x210, 90x290, 120x240, 150x240. 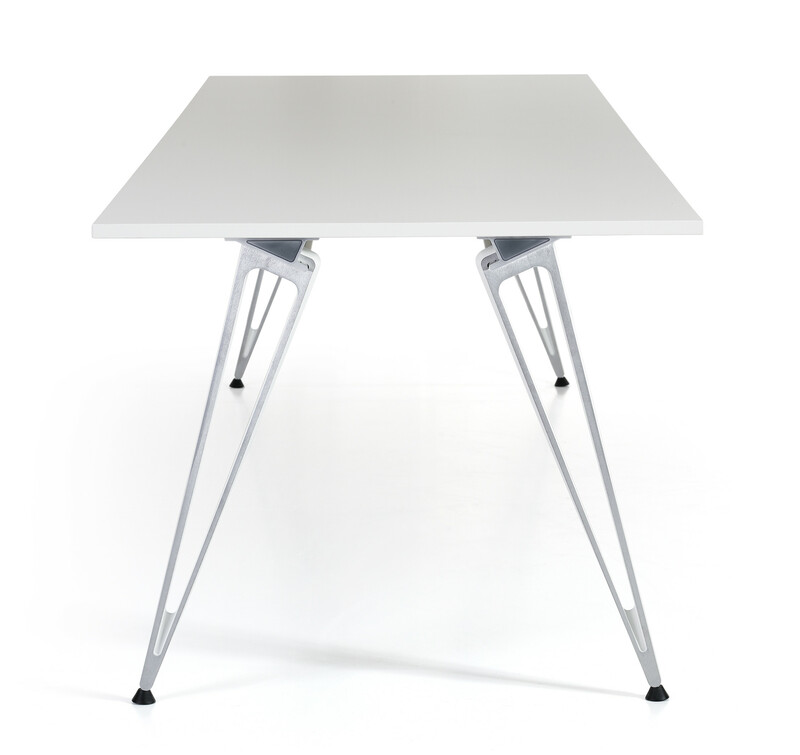 Legs of die-cast, powder-coated recycled aluminium. 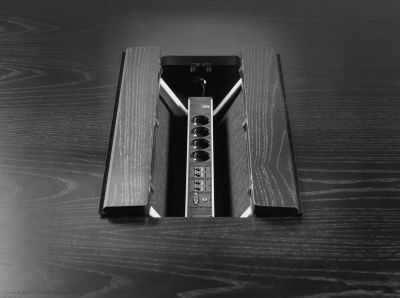 * If melamine and linoleum are selected with Integrated power and communication the port will come in unfinished MDF. 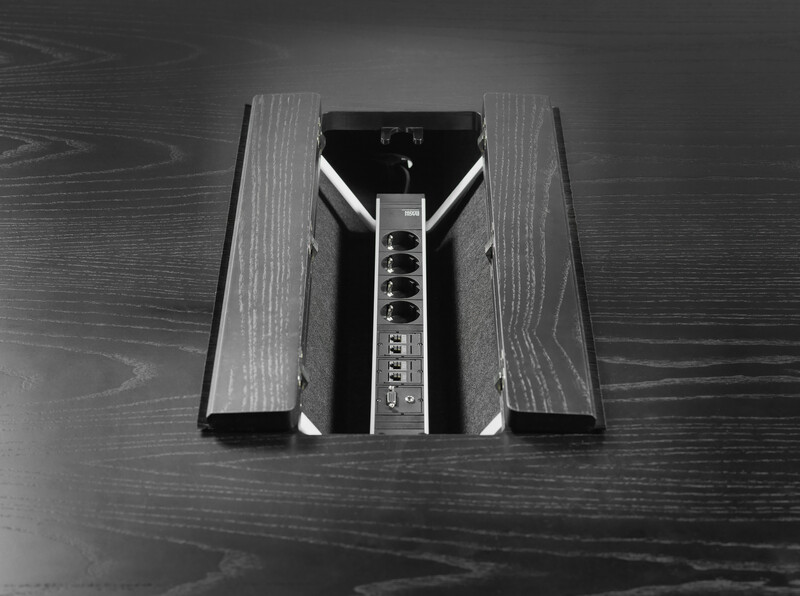 If veneer is selected the port will come in a lacquered MDF.